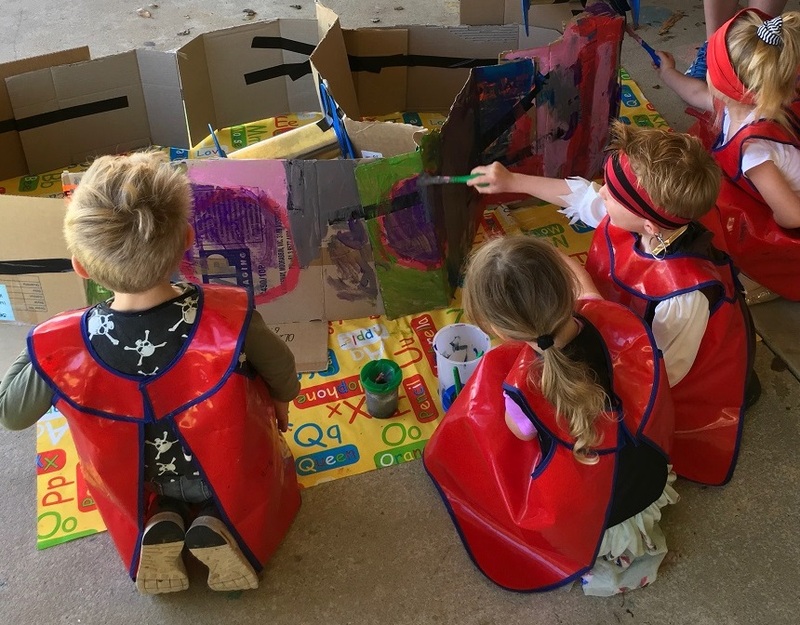 Every second Friday in Kindy we have a messy Friday. 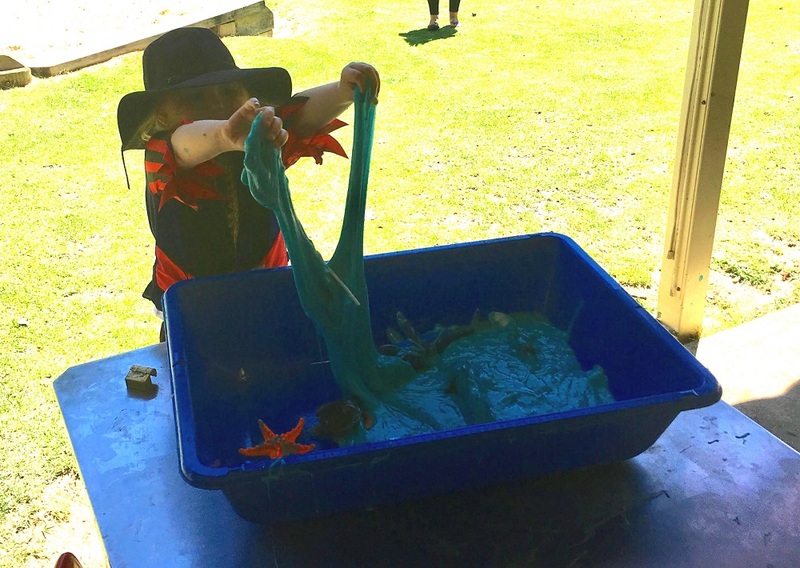 We explore our bush playground and learn through sensory play. This Friday we had our Pirate Day! Our theme this term has been Under the Sea and we have been interested in Pirates and Pirate ships. 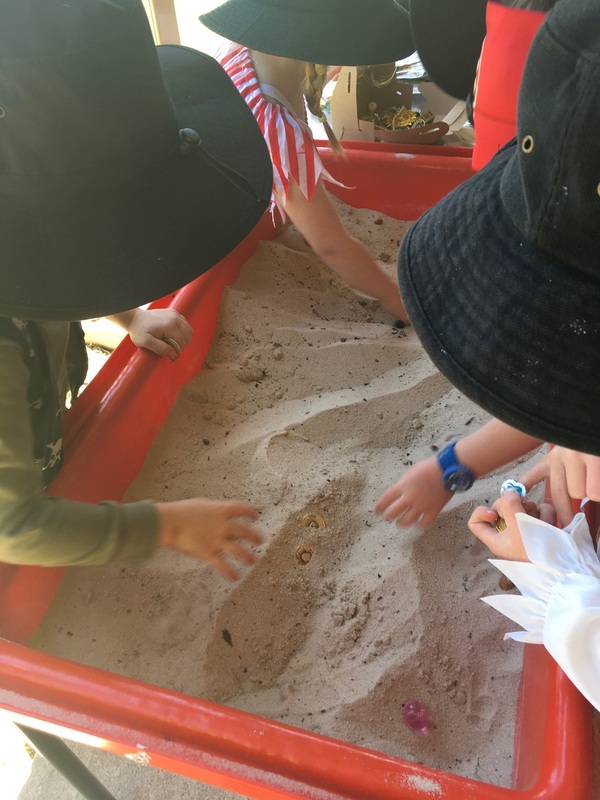 Our pirate activities included making a pirate ship, creating pirate cupcakes, exploring sea slime with hidden sea creatures and looking for buried treasure in the sand! We also made telescopes to help us explore the open playground for treasure. We used treasure maps to help guide us. We read a silly story ‘Pirates Love Underpants’ written by Claire Freedman and Ben Cort and sang the song ‘A Pirate Went to Sea Sea Sea’. We had lots of helpers in our classroom today. A big thank you to Sharne, Megan, Madison and of course Miss Brown!